Babies are expensive. Not only are there the medical bills, the diapers, and the formula, but there is so much more that doesn't even occur to you beforehand. As soon as we found out that Maria was expecting, we began to prepare our finances for life with a baby. But even the best laid plans sometimes go wrong. 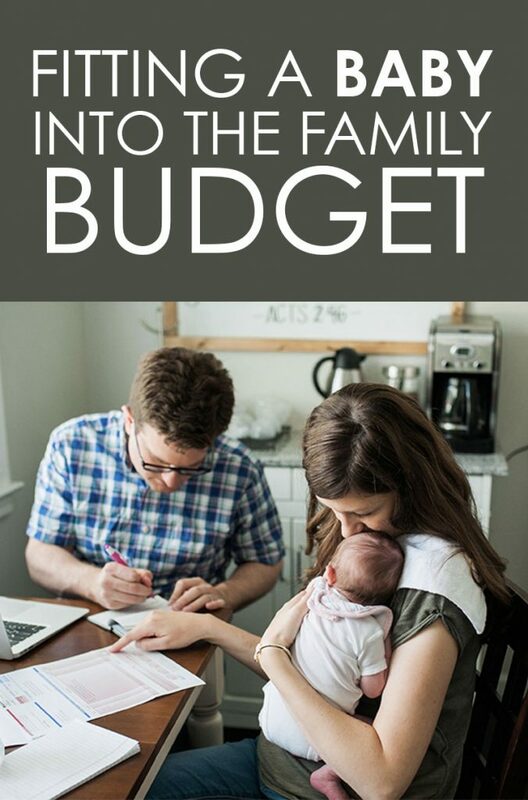 We thought we had anticipated everything when we planned our family budget, but we were caught off guard by a few things. 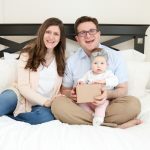 So let's take a look at how Maria and I planned for our growing family and go over some of the things we still have to do (because somehow it's pretty hard to find time between feedings and diaper changes to plan every detail to a T. Go figure). 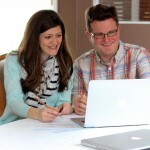 Way back in February or so, Maria and I began planning for the changes to our finances once our baby arrived. To start, we did what we always do: seeing what Dave Ramsey says. If you are still paying off debt in Baby Step 2 using the debt snowball, stop. Just make minimum payments and increase your emergency fund to cover any medical emergencies. 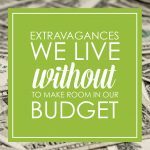 Adjust your budget to accommodate more groceries and maternity clothes. 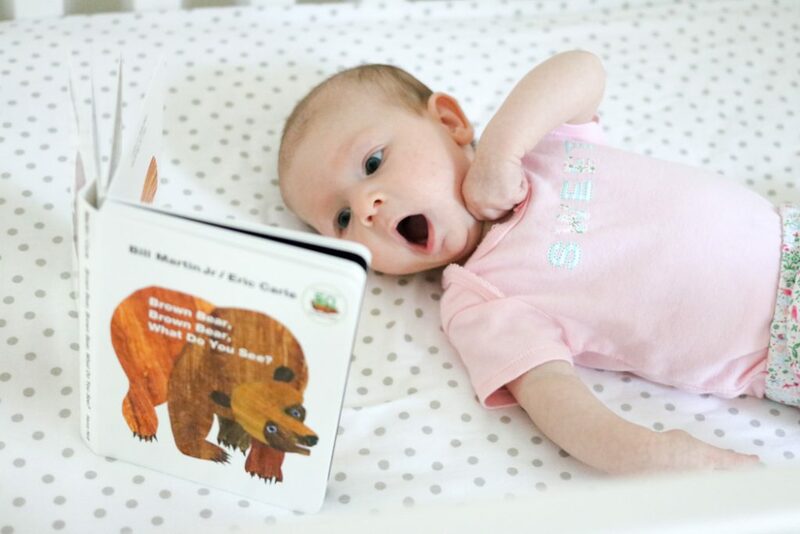 Begin purchasing stuff for baby, like a crib and other accessories, but within your budget. Save for medical costs (trust me, this gets more expensive than you'd think). This includes reviewing your insurance coverages and checking with your doctor and hospital for estimates. Once you have those estimates, save for more. There's always a cost you won't think of. Those of you who already follow Dave Ramsey's financial advice probably recognize those last two as Steps 4 and 5 of Dave's 7 Baby Steps. But there's another Baby Step I think you should revisit: Baby Step 3, a fully-funded emergency fund of 3-6 months of expenses. Maria and I took a wild guess at what our expenses after baby arrived might be like and adjusted our emergency fund accordingly. Thankfully, our tax refunds came right around then, so that took care of beefing up our emergency fund. One other thing Maria and I did is create a baby sinking fund. This was just a catch-all savings for any baby-related expenses we didn't really anticipate. It helped cushion our monthly family budget once Dessa arrived; there was a lot of stuff we had to buy that we didn't anticipate. To illustrate, here's a short list of things we bought in the couple days after bringing Dessa home: hand sanitizer, a white noise machine, breast pump parts, lights for the nursery (because we needed to be able to see in there at night; don't know how we overlooked that), mirrors for the car (so we could see Dessa in her car seat more easily), and several parenting books. And we still are buying some things, like blackout curtains for the nursery. You're going to overlook something, so having money saved up will be helpful. We added a budget item for baby clothing. No matter how many times people warned me, it still blows me away how quickly babies grow out of their clothes. It's crazy fast! So we are always buying new onesies or pajamas or pants or something. We added a budget item for childcare. We decided to keep around that baby sinking fund, since that's how we're paying for her formula, diapers, and other baby supplies. Those medical bills are still rolling in, so we've had to beef up our medical budget. It's been over two months, so I don't quite understand why we are still getting them, but I think that's just the nature of medical bills: there's always more. And that's just the simple stuff that was already in our family budget. Maria and I haven't even begun on some of the more complicated questions yet, which we will have to get to work on soon. Like college for our little learner. For us, saving for college is a no-brainer. And the sooner we start saving, the better. Dave advises that you start saving in a tax-advantaged plan, such as a 529 plan or an Education Savings Account. Michigan offers both of these, so we will definitely be looking into them to see what works best for us. One quick note from Dave, though: prioritize your saving for retirement over saving for your child's college. This is one of those times where you need to make sure that you are taking care of your own future first. If you can afford to help pay for your child's college tuition, great. If saving for college just isn't in the cards for you, then it will be up to your child to figure out how to pay for college if that is what he or she wants. 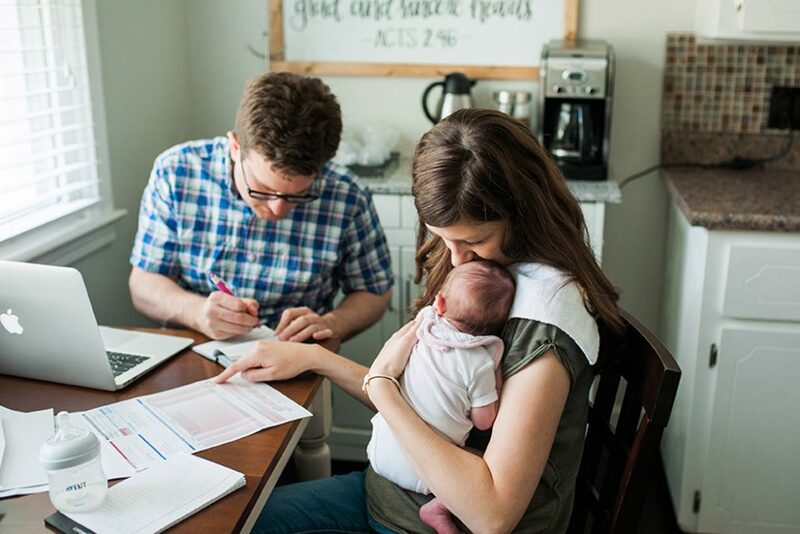 Not only are there monthly family budget implications from having a baby, there are other financial items you should look at as well. If you haven't created a will yet, you definitely should now. There are a whole lot of reasons to do so, but making sure that your child will be provided for financially the way that you want is a top reason to do so. Related to wills, you should review your life insurance policy to see if you have enough coverage. 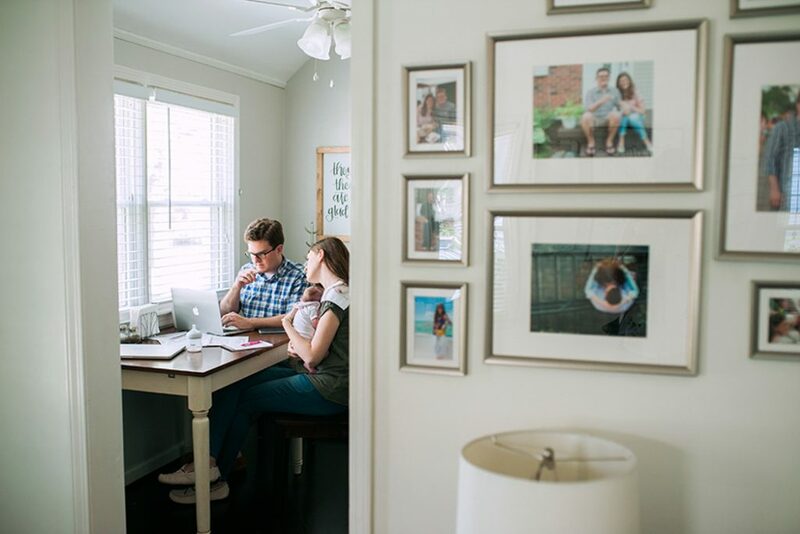 If you already have term life insurance, you might consider increasing your policy amount to make sure that all the financial needs of your growing family are covered in case you or your spouse pass away. And if you don't have term life insurance, you should definitely look into getting a policy. You'll also want to make sure that you file paperwork within 30 days to add your new child to your health insurance policy. That is one window you don't want to miss; it could be very costly if you do. Lastly, and this one just occurred to me a couple days ago, you should put some thought into saving for your child's wedding expenses. Both of our parents had money set aside for our big day, and are we ever thankful that they did. We want to do the same for Dessa, so I'm sure we'll be putting together some sort of plan for saving for her big day (God, she was just born, I can't believe I'm already thinking about her getting married). As you can see, planning for Dessa is kind of a work in progress for Maria and me. We've got the immediate issues nailed down, but we have yet to work on the long range. But, thanks to Dave Ramsey, we know how to plan properly so we can provide for Dessa in all the ways we want. So we know we'll be fine in the long run as long as we apply our gazelle-like intensity to the situation. Thank you for your thoughtful post! This is a subject I wish there was more discussion on. It’s such a big jump and adjustment in life. I appreciate this good advice!